With the rise of the “fast fashion” industry, consumers have increasingly bought more materials and donated in much greater numbers than ever before. 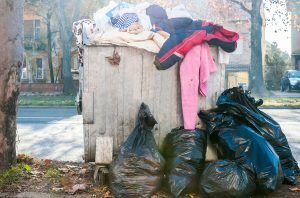 In the United States, Americans are estimated to donate nearly 5 billion pounds of clothing, shoes, and miscellaneous materials each calendar year. But consumers also produce a significant amount of waste – according to the U.S. EPA, the annual average per US citizen amounts to nearly 70 pounds of clothing and textiles. In addition, the nation’s municipal waste stream occupies nearly 5% of all landfill space. This has generated a ‘crisis of stuff’ and in order to ethically address this environmental challenge, there is a need to shift our practices towards recycling materials rather than producing more waste. One of the most viable solutions to date has been through the process of textile recycling. This process requires that recyclers turn old clothing, used linens, shoes and fabrics into products with a new purpose, and often for new owners. The term ‘mixed rags’ or ‘institutional clothing’ refers to a category of clothing that is considered ‘used’ and was not sold in a resale, or was not suitable for resale. This means that it was likely possible that these items were either the result of store returns, rummages from thrift store locations or discount apparel stores. These items might include used shoes, household textiles such as linens and towels, and used clothing for sale in bulk and at deeply discounted wholesale rates. Broadly speaking, items become mixed rags for a varied number of reasons, though it likely because they are imperfect in the way of having stains, worn material, rips, broken or jammed zippers or missing buttons or clips. 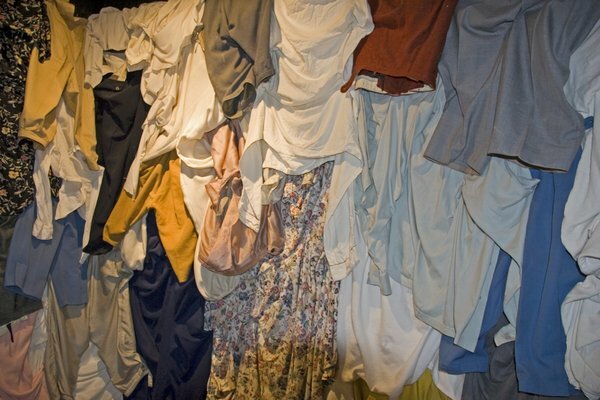 Once they are determined mixed rags material, these items are removed from their respective storefronts and sent to a warehouse to be sorted, cleaned and prepared for other buyers. In terms of packaging, mixed rag items are typically sorted, compressed into bales of clothing, and stored until they can be sold. 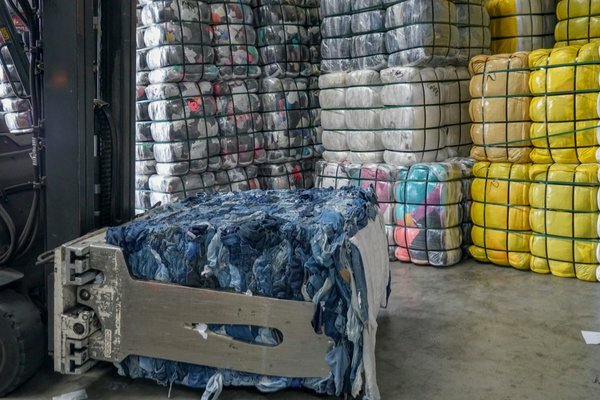 Once these mixed rags have a market for sale, they are then sold in bulk (in large bales or kept loose) and by weight to clothing wholesalers in packages that are typically in amounts of 800-1,200 point bags. Graders (those who determine the nature and quality of the items) will then accept these mixed rags as raw materials appropriate for sorting, and officially prepare them for the mixed rag market. This practice of using mixed rags directly impacts the crisis of fast fashion and the ways in which this problem significantly affects the environment and the intention to divert items away from landfills. By generating this product for a new market of consumers, mixed rags provide consumers with many benefits such as contributing to broader environmental strategies and re-directing used materials for usage to a variety of other industries. In terms of how the items are diverted, the statistics are as follows: approximately 45% of materials labelled ‘mixed rags’ are sold as secondhand clothing to other domestic or overseas markets; 30% of materials are re-made into rags for industrial markets for industries such as the automotive, home improvement and manufacturing industries; 20% of mixed rag materials are also shredded into fiber and used to stuff new products such as couches and chairs, carpet padding, and home insulation; and the final 5%, the mixed rag excess is typically tossed because it may have been compromised, and therefore deemed unusable due to chemical contamination or water damage. For those interested in learning more about mixed rags and how we at Bank & Vogue can help you consume credential clothing and save textiles via recycling, please contact one of our friendly staff members for assistance. Our team is always ready and willing to discuss pricing and logistics. In order to utilize our team’s expertise, please contact us at 1-866-613-0719 (North America) or 1-613-747-8465 (International).